Have you heard about the app that turns you into a happier, more grateful person, that makes you feel more balanced and peaceful, and that keeps you focused and on track every day? I sometimes call it “The Wisdom App,” even though the app’s developer originally used a different name (more on that later). The app is free, and you don’t even need a smartphone to use it. Here’s how it works: you commit to use the app every day, for a few minutes, right after lunch for example. Interestingly, this app works in exactly the opposite way from all the other apps you’re familiar with: you don’t open the Wisdom App by looking at something on your smartphone; you open the Wisdom App by looking into your heart and soul, in a manner of speaking. To do so, stop scrolling through your social media feed, answering phone calls, listening to music, or replying to texts. Ignore all those external stimuli for a few minutes, and focus on what’s going on inside you. First, remind yourself why you are grateful to be alive right now. Second, extend or lift your horizon a bit. Our horizon tends to extend no further than the next thing on a to-do list or the next text to answer. Instead, extend your horizon much further, and take a few seconds to remind yourself of your deepest sense of purpose as a human being. Third, go back through the last few hours and try to extract some lesson that might help you in the next few hours. For example, if you were irritated all morning and lashed out at someone, process that, get over it, resolve to make amends to the person you offended, and get back in the game with your head on straight. Or, put differently, go back through the last few hours and perceive how God was present to you or trying to be present to you in the people you met, the situations you were in, and so on. I think the genius of this simple practice becomes obvious when we consider the world we’re living in now. We’re surfing this white water of texts, phone calls, advertisements, social media, and other distractions. We’re 100% present to every miscellaneous distraction that crosses our radar. And we’re not at all present to what ultimately counts most: our sense of meaning and purpose on this earth and our relationship with our Creator. If you devote even five minutes a day to the process I described, that will be one of the better time investments you’ll ever make. Before I finish, let me apologize to the app developer. St. Ignatius Loyola didn’t call it the “Wisdom App”; he called it the Examen. And the way he lays it out is not quite in the same colloquial language that I use above. No matter: If my way of talking about the Examen got your attention, and even if it annoyed you, I may have succeeded in helping you to re-appreciate a 500-year-old wisdom tradition that has as much value today as it did five centuries ago. 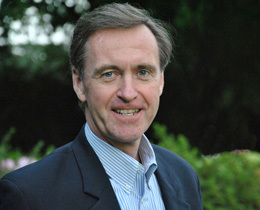 Chris Lowney, a former Jesuit seminarian who later served as a Managing Director in investment banking, is author of the bestselling Heroic Leadership. This essay is adapted from his most recent book, the Independent Press Award-winning, Make Today Matter: 10 Habits for a Better Life (and World). 31 Days with St. Ignatius continues with Praying in Dry Seasons of Life by Becky Eldredge. 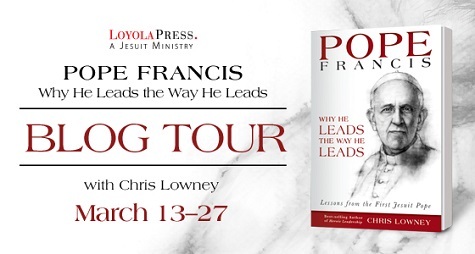 Follow along every day this month here and on social media with #31DayswithIgnatius. You sure got my attention. Thank you! Thanks Chris for showing in today’s language how pertinent a tool like the examen can have a powerful impact in our life. To be more specific, my life. When are you coming to Manila to share more of your wisdeom and the examan for us entrepreneurs and businessman?